With the latest in dentistry. Are thin shells of porcelain which are custom made to alter the size, colour and shape of your teeth and transform your smile. 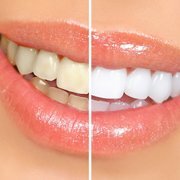 Say good bye to stained yellow dull teeth ...teeth whitening is the perfect solution to a dazzling white smile with shining white teeth. 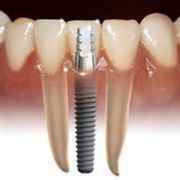 Dental Implant is the most natural looking and pain free permanent replacement for a missing tooth or multiple teeth. It’s only a matter of hours in which our expert team can transform your smile and boost your confidence by various procedures like veneers, dental bonding etc. Badly decayed teeth can be very painful and may even fracture. Root canal procedures will salvage your decayed tooth in just one pain-free sitting. A 6 monthly visit to the dentist is very important for maintaining your dental hygiene and to detect any cavities or gum issues at an early stage without much damage having been done. I approached this with great trepidation and a little fear, all that changed instantly. From the start you gave me confidence. The attention to detail, care and effectiveness of my treatment has been amazing. I have been kept totally informed of what was going on and you have been excellent. I am very impressed with the quality of your work, Professionalism and patience. Thanks again for all the good dental work and the beautiful smile I now possess. thanks also to the staff who were so kind, caring and helpful. I would highly recommend Dr Krinita Motwani's practice and will continue to be a petient here to look after my new smile! Initially I was a little wary of coming to India and getting cosmetic treatment for my deficient smile. But when I saw the ambience and hygiene combined with great quality of dentistry with a highly professional approach, I was convinced. And surely the overall outcome didn't let me down at all. I smile my fullest now, all thanks to Dr. Krinita and her awesome staff.. I was so troubled by one ugly yellow tooth right in front of my mouth. I consulted a lot of dentists and tried many different treatments but nothing helped. Finally I heard of Dr. Krinita from my friend and visited her. She explained the various options to me in detail with the pros and cons which allowed me to participate in the treatment process. I was extremely thrilled with the success. Now I can smile without having to cover my face! I have been to several dentists in the past & this time I had some extensive treatment done with Dr. Krinita. I liked the fact that I was informed on the course of treatment at every stage. She was very gentle & caring. A good explanation of my treatment & what I should expect ensured that there were no surprises. The attention & follow up calls to know how I'm feeling were very warm. Teeth whitening procedure was very comfortable, pain free and quick. I had no problems or sensitivity afterwards. Would recommend Dr. Krinita to everyone I know. Dr. Motwani has been my dentist of choice for over a decade now. Although I have lived in different parts of the world during the period, I have relied on Krinita to address my dental needs. She is skillful, trustworthy and provides excellent value for money. Over the years she had helped remedy several dental issues developed during my adolescent years. She has fixed my smile, preformed root canals and helped prevent my gum decay. I owe much of my dental health to Krinita and highly recommend her services. I have known Dr. Krinita for three years and I am very happy with her treatment for me and my son. Some of my makeover clients have also had dental procedures and smile makeovers done with her and very satisfied with her work. She has a wonderful way of explaining the details and making a patient feel very comfortable. Her clinic has a lovely ambience with high standard of hygiene. I would highly recommend her professionalism, experience and knowledge. There is a famous saying, "a smile says a thousand words". I have always been conscious about my smile as I had really short teeth, which were almost negligible upon smiling. Dr. Motwani suggested me a Smile Makeover. My family and I agreed on the procedure because of her professionalism, cleanliness, and state of the art equipment. She is extremely knowledgeable, and experienced in her field of cosmetic dentistry. She made me comfortable, explained each step during the procedure. In about two weeks the procedure was completed, and my teeth looked amazing. Now I can truly say, my smile says a thousand words. I have always had a fear of dentists since I was 10 years old because of which I avoided going to one for a long time. Then a massive tooth ache forced me to visit a dentist. What a surprise ! Dr. Krinita and her team were outstanding, very pleasant and informative. I had extensive treatment done over 9 months involving root canals, bridge work and teeth whitening all PAIN FREE !! Had severe pain in a wisdom tooth & surrounding teeth but due to the much greater fear factor of dental treatment had avoided any visits to a dentist. I could not have been more wrong. Thankfully not only all my problems have been sorted out in a couple of visits but there was no so called pain or trauma. 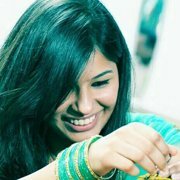 My mantra now onwards is to treat teeth and have no tension when you have a Dentist like Dr. Krinita. I know Dr Krinita since last 13 years and have under gone treatment whenever required. I find her very good at her work, dedicated and polite to her staff and patients. I would recommend her to anyone who wants to dazzle the world with their smile !! Dear Dr. Krinita, Thank you for your kindness, wisdom and excellent treatment for my broken teeth. I am grateful to you that my experience was so positive. Competent, sensitive physicians like you are the prize of the medical profession. In a surprisingly short time the treatment was very good, painless, and got healed very fast. I am able to eat normally now. Thank you once again and god bless you. I was impressed with the thorough professional but friendly approach and the level of perfection practiced in the clinic. Dr. Krinita has the most gentle hands and a very good aesthetic sense. I am super happy with the way my 32's have turned out. Best part is the appointments. There is simply no waiting. Also you do not realize having come for dental treatment till it starts. But when it is over the feeling is that of having visited a Dental Spa. Above all there is so much of care with excellence. Dental treatment like Implant's sounded difficult & complicated but, Dr. Krinita explained everything with details and gave me a perfect natural tooth, without causing any pain and discomfort. Now I have no missing teeth. This state of the art dental studio has a unique combination of a relaxing ambience along with use of cutting edge equipment and internationally acclaimed dental materials. We recommend brushing twice a day to prevent bad breath, cavities and other dental problems.